CRM – What is it? CRM stands for ‘Customer Relationship Management‘. This strategy is used to allow the business to manage their client interactions, all in one place. This is used throughout Sales, Marketing and Customer Service throughout an organisation. The CRM system can be integrated all into one which in turn, makes lighter work for everyone throughout the business which allows you to manage loyal relationships consistently with customers. CRM software gives you access to lead management for each project by using marketing automation tools, detailed reporting and much more. CRM systems can be completely tailored to the business, which will reduce the worry of such complex software designs. The streamlining of your system integration will make increasing your revenue and profit much easier. This will grow your business in an organised way, improving efficiency throughout the entire business. If you thrive on customer service like we do here at itas, then you’ll most definitely want to integrate a CRM system. This will in turn, streamline your business processes. This allows a relationship to be created with your customers. Your information will be all kept in one place. 1. Let’s use CRM to streamline your Sales Process. We often hear from customers that life pre-CRM was tough! Imagine this situation. Many leads are currently being lost within the system and the sales team will be worried that their leads are falling through the cracks. Make sure you don’t choose a complicated solution, this will require far too much training and time for your team members. Closing sales are the key component to a business. This is why you will need to ensure your system is configured as simply as possible. Keeping your data safe, in one place to win those opportunities. 2. Increases your businesses revenue and profit. This co-ordinates effective marketing campaigns across the business. This will coordinate all your customer data into one place which ensures any conflicts which may arise will be eliminated. Not only this, it will help deals close much faster by using a system to facilitate quicker responses to leads and information regarding your customers. If you are consistently speaking to your client and ensuring you are ringing on the correct deadlines they are more likely to make a purchase with your company. You are showing how attentive you are to your customers. 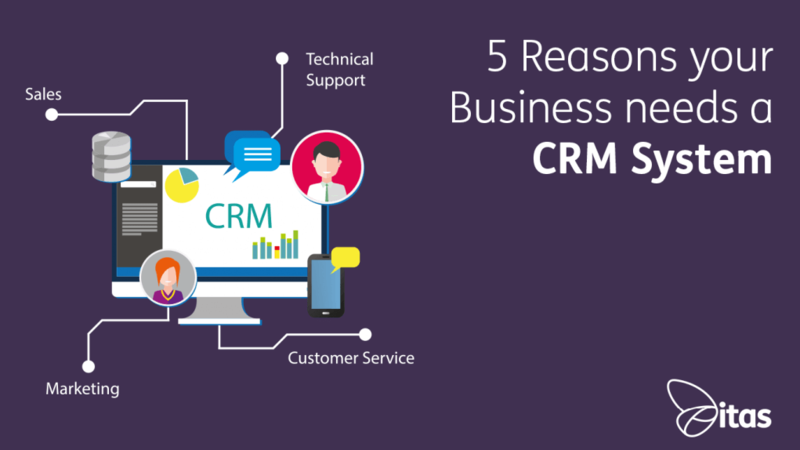 Many companies have used a CRM system to streamline their business process, which have proven to be highly beneficial. The marketing platform used for your business should be highly effective to allow you to offer premium products to customers.This will give you a greater understanding of your customers needs and will improve efficiency. CRM will allow you to access emails, phone numbers, calendar events all in one place for the whole team. The Sales, Marketing, and Customer Service teams will use this to their advantage, as their information will be filtered into their pipeline. The whole team can work together to make the business more efficient using this process. 3. Using the right CRM platform for your business. Choose the right product to tailor your business. The business won’t be able to function without the right support/help desk platform. If you choose a simple CRM system, this is often easy to get up and running as well as learn. Whilst a bigger CRM platform may cope better with growth and give more back to the business. Take some time to explore your business needs and which CRM system is best for you. CRM software can ensure customer relationships are maintained by using a low cost system. This will allow your business to continuously grow for many years to come. Have an effective internal system which communicates with your customers. Why not try using a CRM system which is integrated all into one place which is used across the entire organisation? 5. Improved reporting and analytics, all in one place! CRM systems will store all your data which is inputted into the system. This allows the software to analyse the data for you. You can generate automatic reporting to increase visibility across the business. The dashboard views within CRM allow it easier to locate information for leads, sales and customers. This will allow your business to produce performance reports for each department or project. This is an effective way to make decisions across the company. You can ensure profitability is soaring and customer experience is maintained throughout each business process you take. There are many CRM packages out there, take the time to scope out exactly what you need and how those packages could benefit you. Enable your company to work smarter. Your customers must be put first and get what they want. In turn, your business will grow and all customers will be kept extremely happy.